Getting to know Dianna McGarvin. With over 20 years of experience, Dianna McGarvin has become South Orange County’s go-to agent and a consistent leader with a reputation of tenaciously protecting her client’s interest. Dianna grew up in the Dana Point area and started her customer service habits early at the age of 15. She has continued rising and has since built a successful career in real estate in one of the most coveted housing markets in California. She has worked every aspect of the business representing sellers, buyers, tenants and investors in the residential market. She prides herself on steady communication from the first phone call all the way to close. Savvy negotiations and cutting edge marketing strategies join uncompromising integrity as the hallmarks of Dianna’s service. Dianna is exceptionally well-respected in South Orange County, not only for her unparalleled professional track record and high ethical standards, but for being an honest, hard working agent who does absolutely everything in her power to ensure her client’s success. 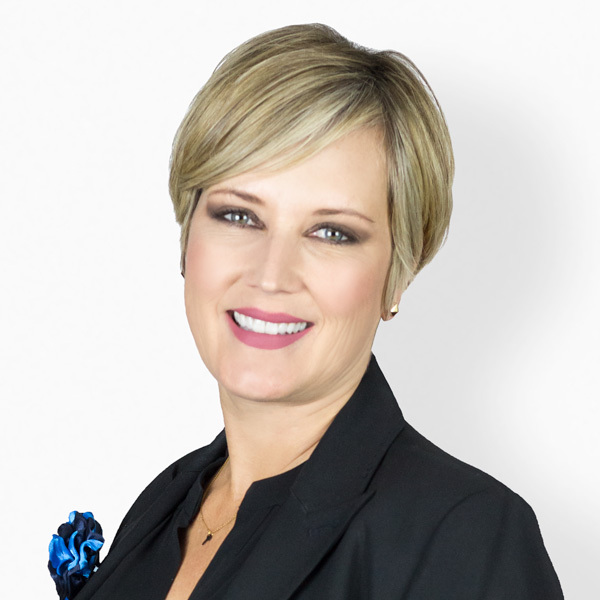 Exceptionally loyal clientele, personal referrals and repeat business have been the building blocks of Dianna’s career. Ensuring efficient and complete service for you, Dianna McGarvin is there for every aspect of your home purchase or sale. What Dianna's Clients are Saying. While checking out open houses to get a taste of what was available on the market my wife and I bumped into Dianna. We were immediately drawn to her friendly, knowledgeable, and patient style. We were relocating from the Bay Area down to Dana Point and really had to rely on Dianna to be our local eyes and ears in the home buying process. She did so flawlessly, always making herself available, responding to us immediately, and helping us checkout the home we decided on purchasing. Once we'd settled on the place we wanted to put in an offer on she immediately had the written offer ready to go and guided us through the negotiation process. It all went very smoothly until it was time to coordinate with the mortgage lender, escrow company, and buyer. The mortgage company was completely disorganized and, frankly, dropping the ball in an unacceptable way. This is where Dianna really shined, she stayed on top of them, catching their mistakes and ensuring they kept progressing at the pace agreed upon for closing - being extremely busy with work and real-life in our own daily lives it was absolutely reassuring to know we had Dianna taking care of things behind the scenes, one less thing that we had to worry about. In the end, we successfully closed on a house we love and we could not be happier with our choice in Dianna as our realtor. Today, of course, we're elated with our new home and can't imagine moving anytime soon, but, in the future she'll be the first person we go to and will be the first person we recommend for those in need of a realtor. Thanks Dianna! My Mother & I, highly recommend Dianna!! She is the best! She made the whole process of purchasing a home for my Mother so Quick & Easy!! We found a home that we Loved and it was going to sell fast-we didn't have a minute to waste. We called her and asked if she would be our Realtor. She took us to see the house that day, She made the right offer for my mother that day, the next day it was accepted! My Mother had the house she wanted in 2 days!! Dianna made it happen!! She is always available and she responds immediately. She always goes above & beyond in all that she does. She is so kind, calm and easy going. We appreciate that, when buying a home can be stressful you don't want your agent to be stressed. She takes the stress out of it! As easy as she makes it, she is very professional, knowledgable and gets the job done!! We can't say enough great things about her!! We are grateful~ to have her as our Realtor & also dear friend. We first met Dianna in 2008 and she helped us to locate and purchase our 1st investment property in 2009 and assisted with the purchase of a 2nd property in 2014. She was our first choice to sell one of these in 2018. Dianna is very familiar with the So OC real estate market and provided great guidance on preparing our property for sale and the pricing of the property, which went under contract less than 2 weeks from listing. On a personal note, Dianna is very responsive and has a great, positive and energetic attitude. Overall we have enjoyed working with Dianna over the last 10 years and have no qualms in strongly recommending her for the purchase or sale of your home. Lovely lady! Very professional and knowledgeable. Dianna really made our experience of buying a house pretty easy. Always helpful. Gave us great advice when we asked for her opinion. Helped us get our house rented while we were away on a trip. She goes above and beyond the call of duty. We highly recommend her! We have now purchased and sold our first home with Dianna, and couldn't be happier. Dianna is professional yet personal and takes the time to get to know her clients and their preferences. Her knowledge has helped us navigate the first-time home buying process and also sell our home quickly without compromising the value of our property. We would highly recommend Dianna as a buying or selling agent in Orange County. Thanks Dianna! I highly recommend Dianna. She was very thorough with her job and was very knowledgeable about the area. Our purchase went very smoothly due in part to Dianna's readiness with all the documents we needed to sign and all the actions we needed to take. We have known Dianna McGarvin for over 20 years and she has been our family's agent on multiple property sales and purchases. She is so professional and personable, as well as a dynamic and knowledgable go getter! We listened to her intuitive advice and our latest house sold immediately at top dollar! It's nerve wracking to sell and move, but Dianna is a calm source of support and we appreciate that she makes sure things go as smoothly as possible every step of the way...Thank you Dianna!!! Dianna was extremely knowledgeable and attentive during my housing search. She knows the area very well. She was very easy to reach and very helpful throughout the process. Would definitely recommend for your home search. This is our second home Dianna has sold for us. We needed to sell our mom's home in Leisure World who had recently passed away. As always she was professional, diligent and knowledgable, but what impressed us the most was her kind, thoughtful, and sensitive approach due to the circumstances. We needed to move fast and she listed the house at a fair price that would get things moving, and we had 2 offers the first day. We were in escrow the next day and she handled everything beautifully. We highly recommend Dianna McGarvin. Frankly I don't think there is a more qualified agent in South County. I met Dianna McGarvin on the phone when I was inquiring about a property. I immediately felt a professional ease. I never felt pressured or rushed. I knew right away she had the experience and attention to detail I was looking for in an agent. Her responsiveness is hard to find; she answered my calls, emails, and texts in an extremely timely manner with detail. I also liked her kind and gentle nature and feel I have not only gained an excellent hard working agent, but a new friend. I can't thank Dianna enough for helping us find the perfect house, and helping us all the way through the purchase. We live out of state and so Dianna went above and beyond to do all the inspections and on site appointments on our behalf. I have known Dianna for 25 years, as a friend, neighbor, and real estate agent. She and is honest, hard working, and knows how to make things happen. We will continue to have Dianna represent us on all future sales and purchases. We can't wait to celebrate with her after our upcoming move to our new home! Professional, knowledgeable, exemplary conclusions for all parties, always!!! She has been more than the expected help...,,way more! She represents her clients with honesty, frankly and with expertise. Dianna McGarvin is wonderful to work with! She is very professional and knowledgable about the area. She helped us find a perfect place to rent. Thanks again! Dianna is a Rock star ! She knows "Whats up" knows how to work a project, and get results. Marketing, showing & simple word of mouth she know what she is doing! I base my review on what I saw happen. We had a agent for 3 months prior from one of her competitors, but truly could not be even compared, As she rented my property within the 1st Month. I feel very lucky to have met Dianna and have her represent me in the purchase of my condo in Dana Point. She was both the listing agent and the buyer's agent in this property. She was extremely fair to both sides and her knowledge of the entire escrow process was very professional. She was ALWAYS available to answer questions when I had any and made the process as smooth as can be. I have worked with other real estate agents and she is by far the best! I highly recommend her! A Selection of Dianna's Recent Sales.